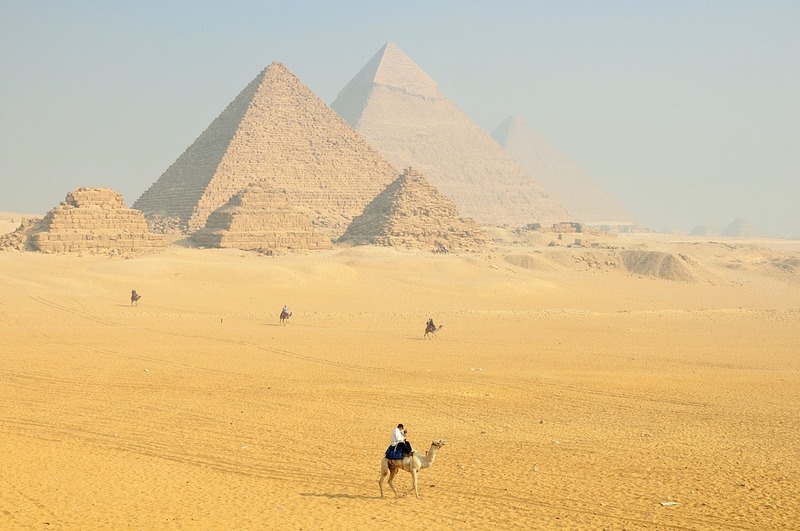 A scientific project has recently bombarded the pyramids at Giza with subatomic particles in an effort to see if the pyramids will toss up any more of its secret passageways and hidden rooms. 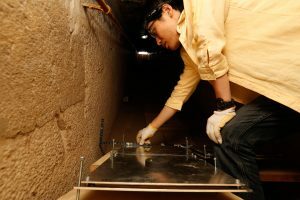 The ScanPyramid Project is a collaboration between scientists from Japan, Egypt and Canada who are using specially designed muon panels to try and seek out certain hidden particles and empty chambers within the pyramids themselves. Last week the research team announced that they had discovered a previously unknown cavern in the Khufu pyramid. They also managed to locate and find V shaped blocks that they could not explain. 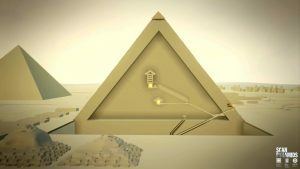 The blocks, or chevrons, notably used as reinforcements in architecture, were found in a rather small cavern that the researchers don’t believe needed that many support structures. The experiments involved the detection of muon particles, which are tiny particles smaller than electrons. The muons pass through solid objects but have been detected with their specialized equipment. 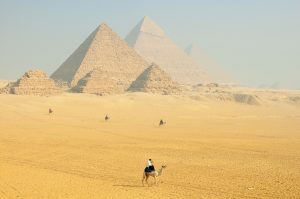 By measuring direction and the speed of the muons, the scientists were able to detect empty spaces within the pyramid structures. Muon detection, for the most part, has been used in selected experiments such as this but their study has primarily been the domain of the researchers at the CERN supercollider in Switzerland. Muons have been used in Japan at Fukushima to help with the clean up over there at the nuclear power plants. The project will continue, the researchers said, and they will keep looking for empty passages and will continue to study the strange chevrons.